Fresh fruit juices, exotic spices and beautiful smells on every corner of the local markets - explore the food and nature of this country with our daily trip in town and our in house chef ! Get to know the locals, they will help you improve your Spanish skills and allow you to discover Nicaragua culture and the customs from a close perspective. Even though we provide all-inclusive food and drinks, every guest will have access to the kitchen area to prepare whatever he or she is craving. 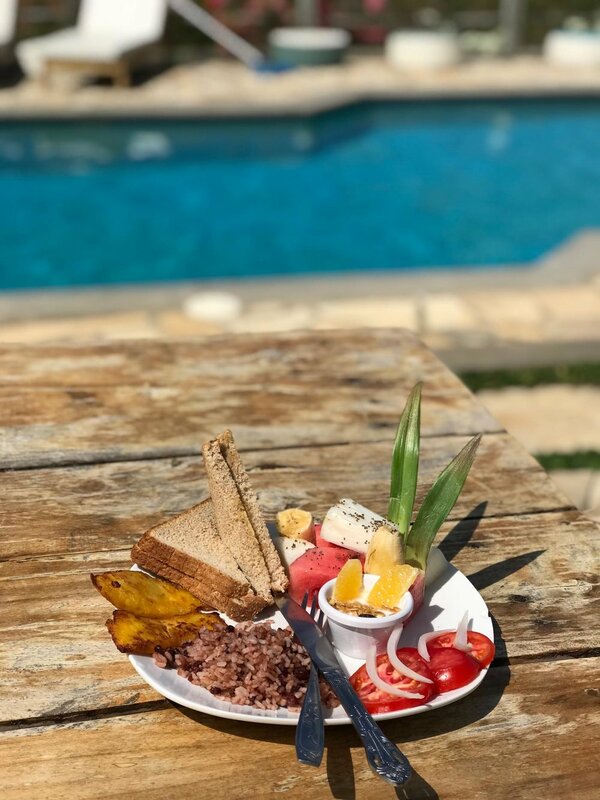 Pick fresh herbs and fruits from our garden with Villa-Papa Bayardo, go to the local market and learn to cook local dishes from our Villa-Mama Yuris, a real Nicaragüense. Everything is possible and dishes will be adjusted to your food preferences and possible allergies. Nicaragua is not only a very tempting surf destination because of offshore winds and warm climate all year long, it also convinces globe trotters with its rich culture. Nicaraguans are very proud of their country and are more than open to show you typical dishes and customs. Your demand for your vacation is to wander beyond tourist paths, but still have the comfort of a developed environment with running water and options to go out? Then you’re absolutely right here! With us you have the opportunity to join events in and around San Juan - from Taco nights to beach parties. And if you’re not that much into nightlife and need a break from surfing, we’ll organize the perfect cultural trip for you! 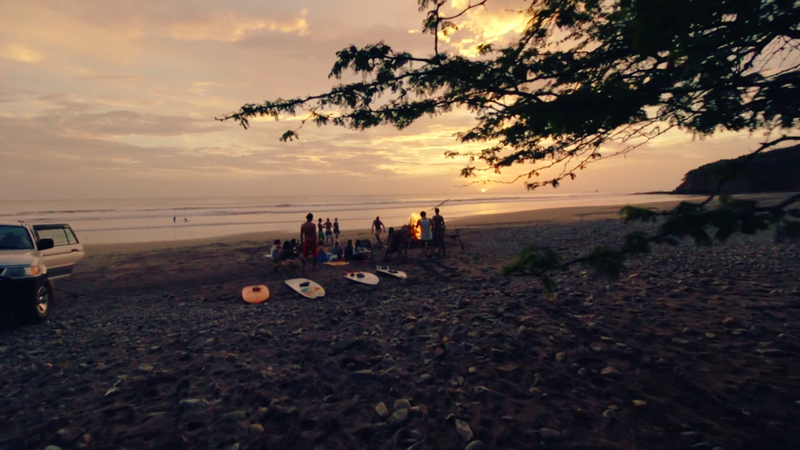 Enjoy the local markets or comedores, little family-owned restaurants with typical Nicaraguan cuisine, get in contact with local surfers while sipping an after-surf- beer and dance to latino rhythms! Experience Nica - as you will be living and surfing with locals, you’ll have an authentic insight in what makes Nicaragua so special to us. Want to explore the culture, but speaking spanish is not one of your strengths? No worries - our team also speaks fluently english and french and will always help you out. "Not really knowing what I was booking as I just booked the first available accommodation close to San Juan Del Sur. I ended up finding exactly what I wanted." "Nice, quiet and chill vibes with super friendly staff! Between the drinking of Toña, all day surf sessions and sharing travel stories with newly made friends,"
"I would definitely make sure to stop over there soon!" is conveniently located within 45mins from a dozen surf breaks. The most popular ones are mentioned in the map. The accesses to the beach are all dirt roads and most require 4x4 transportation. Our surf guides follow closely the forecasts to determine which beaches will be more adequate each day. This is why we have included transportation in all our accommodations. We'll try and get you to as many different beaches as the conditions permit. No need to figure it all out, leave it up to us. Everyday is a beach day. center, provides an amazing immersion in the Nicaragua. Coconut Surf doesn’t only take you to different beaches to explore different waves and conditions, but also makes sure, that every perfect surf day is followed by a perfect evening. Experience the vibe of the anything but boring beach town San Juan del Sur by going out for a group dinner, pub crawl, open mic night or bonfires by the beach; or if you prefer a chilled night feel at home in the Villa after a long day of surfing. In order to relax your muscles or wind down we can organize yoga sessions or massages for you. Our private villa in the hills of San Juan invites you to relax and get away from everyday life. Enjoy the good vibes of your new home while reading a book in the hammock, have a dip in the private pool, work on your paddle technique or hang out with the other guests.